Financial Advice for Young Adults (Part 1) - Castle Rock Bankruptcy Attorney - Jon B. Clarke, P.C. 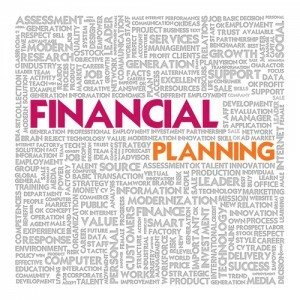 Young adults who are diligent about following this financial advice can achieve a strong financial standing that may benefit them for years and decades to come. Sidestep the need to potentially file for bankruptcy in the future. With financial habits, the old adage, an ounce of prevention is worth a pound of cure, certainly rings true, and young adults who are diligent about following this financial advice can achieve a strong financial standing that may benefit them for years and decades to come. Develop a budget – Before your spending potentially gets out of control, sit down and work out a realistic budget that outlines your income versus your expenses per month. While this can help you live within your means and not accumulate unnecessary debt, it can also help you identify ways to cut your monthly expenses by, for example, identifying frivolous or luxury purchases (like certain entertainment costs). If you have student loans, begin paying them down – While some students are fortunate enough to get through college without having to take out loans, many others will come out of college with some debt to pay off. The good news is that these loans typically don’t have exorbitant interest rates and that students may be able to pay down a large portion of these loans when they are fresh out of college and don’t have other massive debt (like mortgages) to pay off.